Learn how to become smarter, happier and more productive .. by eating the right foods! 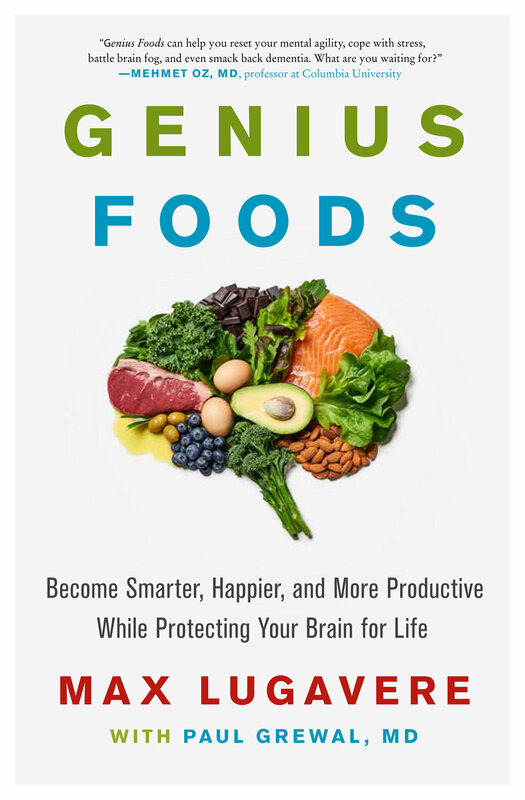 Join us for the story of one man's quest to learn the critical link between your brain and the food you eat. And, learn to change how your brain ages. When his mother was diagnosed with a mysterious type of dementia, Max Lugavere put his media career on hold to learn everything he could about brain health and performance. Now, in this book and in person in beautiful Neuehouse May 3rd, he presents a guide to brain optimization .. and uncovers the link between our diet and lifestyle choices .. and how our brain functions, revealing how the foods you eat directly affect your ability to focus, learn, remember, create, analyze new ideas and maintain a balanced mood. Weaving together pioneering research on dementia prevention, cognitive optimization, and nutritional psychiatry, Max distills groundbreaking science into actionable lifestyle changes. Join us to learn together!